UDN Ranked as the No. 1 Cable Sports Network in Primetime, Outperforming ESPN, ESPN2 and FS1 Among Total Viewers and Adults 18-49. The match, which aired on Univision from 6:55 p.m. – 9:14 p.m. on December 14, 2014, delivered an average of 3.0 million Total Viewers and 1.9 million Adults 18-49. · This is the most-viewed Liga MX Apertura final since 2006, across all networks. · This was also the 3rd most-viewed LMX final ever across all networks. 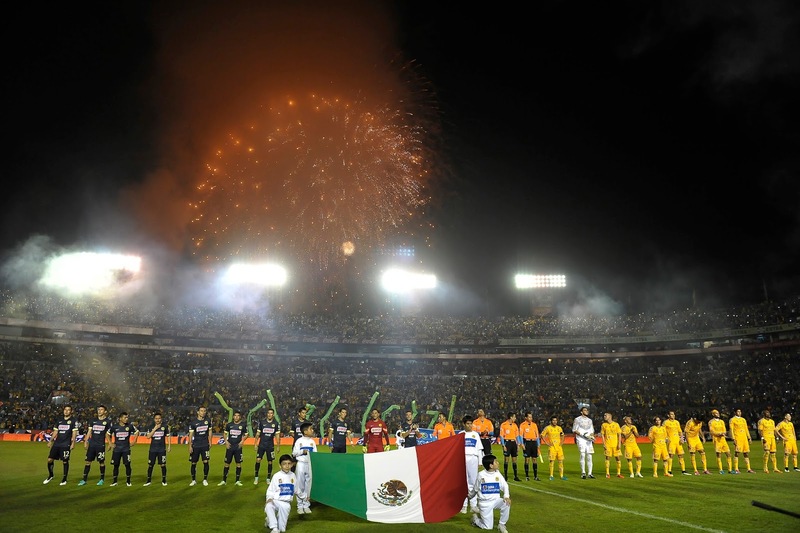 · Univision’s broadcast of the Liga MX Apertura 2014 final between America and Tigres reached 5.4 million Total Viewers who tuned into all or part of the broadcast. · This is the most-viewed club soccer match on any network in 2014, including English Premier League (EPL), UEFA Champions League, Major League Soccer and other leagues. · Match drew +113% more Total Viewers and +140% more Adults than the most-viewed EPL match in NBC Networks history (11/22/14, Manchester United - Arsenal on NBC), and bested the UEFA Champions League final on Fox by +55% and +70%, respectively. · Univision broadcast delivered more viewers than every NHL game airing in the current ’14-15 season on NBC and NBCSN, and 30 of 32 NBA games airing in the current ’14-15 season on ESPN and TNT. UDN (Univision Deportes Network) ranked as the No. 1 cable sports network in primetime on Sunday, regardless of language, among Total Viewers and Adults 18-49, outperforming ESPN2 by +103% and +117%, ESPN by +42% and +98% and FS1 by +42% and +74%, respectively. UDN had its most-viewed LMX playoffs ever, averaging 438,000 Adults 18-49 per game, besting its prior best playoff average by +21%. Source: Nielsen, Fast Nationals, NPM, NPMH, L+SD data, LMX final aired 12/14/14, 6:55 p.m.-9:14 p.m. ET. The highest rated single MLS Cup final on any one network was in the first years of the league when games were broadcast on ABC. The number I have is 1.2 million viewers. More recently MLS Cup finals are getting around 600k viewers on ESPN with a similar number on Univision (without LA that might be a lot lower, which might explain why LA has appeared in 9 of 19 MLS Cup finals). The growth of almost all pro sports in North America is unstoppable at the moment (save for college basketball, ugh) and with some of the bullet points above it's hard not to say that the impressive, meaningful growth in soccer is coming by way of Mexican soccer and their fans. Last note here is about player pay. MLS pays the highest individual contracts in North and South America. While it's a big (big) topic to cover, the largest difference in pay comes from the bottom half of MLS. One could argue it's the lack of talent (or type of player MLS wants) in the US. Again, talking much larger topic that is a tricky one to approach.